2 – it was such a genius solution that only a very high intelligence would be able to understand it. Here is why.Every human being sins at some point in their lives. If a person is religious (and back then everybody was) they will want to be forgiven. Humans need a “reset button” so they can start again with a clean slate. Without such a button, a person’s life would be unbearable or they would no longer believe in punishment by God for their sins. Both situations are unacceptable, and God was fully aware of this. So why was animal sacrifice so clever? In other religions, the power to forgive and collect “fines” was given to humans. This does not work in the long run. Most humans will not resist the temptation; they will became corrupt. The sacrifice solution was perfect: the sinner paid a fine, but not to another human. The ceremony and the venue were holy and had a strong impact. The priests got the meat, but were not allowed to share or keep it; they had to consume it right away. A perfect system. Current Jewish understanding, that in modern times the sacrifices were replaced by prayer, is not correct. These have actually been replaced by courts and jails. However, in biblical times, there were no jails. Anybody who committed a serious crime was sentenced to death. The Torah did not believe in rehabilitation. It went as far as commanding parents of a son with bad character to have him killed. (Deuteronomy chapter 21). Every human has a fear of uncertainty, and it is very easy to exploit this trait. The clergy quickly understood it and took the ownership of God, while proclaiming themselves its brokers. 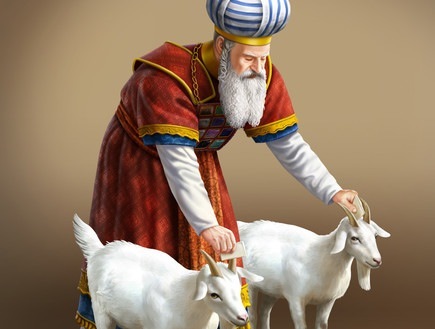 Animal sacrifice ensured that priests and their families never go broke of hungry. This structure is not unique to Judaism and was used by virtually all religions throughout the centuries.